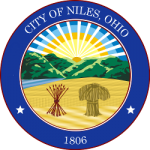 The Niles Police Department has proudly served the residents and businesses of the City of Niles since 1864. The men and women of the Niles City Police Department patrol roughly 8.5 square miles with 35 officers distributed among 3 shifts. 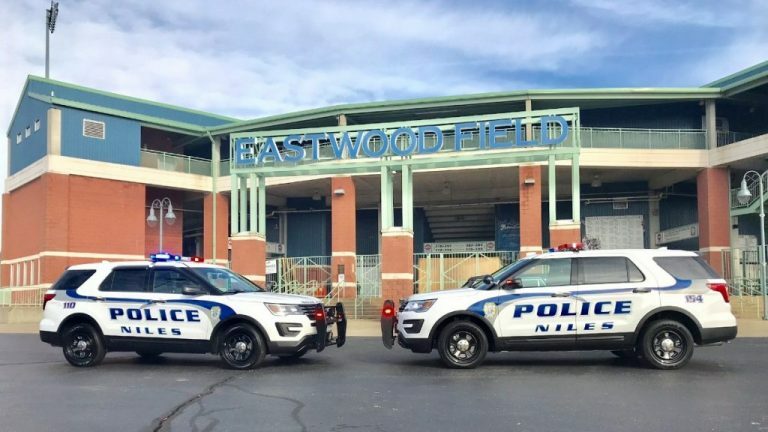 The Niles Police Department and Niles Safety Service Complex also services as a Public Safety Answering Point (PSAP) with a 24/7 dispatching operation. The NPD PSAP serves as a backup to the Trumbull County 911 Center. The Niles Police Department is overseen by Chief Jay Holland who manages personnel and the department budget. Overnight parking on the streets in the City of Niles is forbidden. Your car will be ticketed and or towed. The only exception to this rule is for registered vehicles with a permit belonging to residents of the City of Niles when parked on the street in front of their registered home, and only if the number of registered vehicles exceeds the capacity of their driveway. Click above to download the application. Please fill it out and return it to the police dispatch window at the Safety Service Complex. ALL of the vehicles on the application MUST be registered to the address on the application. An officer will verify that the number of cars on the application exceeds the number of vehicles that can fit in the driveway. IF the cars listed on the application exceed the capacity of the driveway then and ONLY then will a permit be issued. If your cars fit in the driveway then they need to be parked there overnight regardless of any inconvenience. Overnight parking permits do NOT allow residents to park on the street during a snow emergency. There is no cost for the overnight parking permit. If you would like to leave a tip related to drug activity in your neighborhood, please click the icon/header above to notify the department. Please include license plates and dates/times if possible. Please submit this if a family members has a disability. Our department can insure they are taken care of in the safest way possible, if an incident were to occur. Click here to view the current and post annual reports for the Niles Police Department. Click here to view the City News Posts related to the police department, or posted by the Police department. Click here to submit a compliment or a complaint about a member of the Niles Police force or staff.